Promoting alcoholic beverages requires proper certification. In the states of Michigan, Indiana, Ohio, Iowa or Pennsylvania; those seeking employment for promotional alcohol marketing are required to be TiPS Certified and obtain the State appropriate License/Permit (if applicable). Upon hire, MSNTayler will guide you through the process of securing both per state. Conveniently, MSNTayler Mgmt. 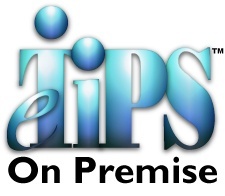 offers the required industry leading TiPS Certification classes conveniently online. The certification will take approximately 3-hours to complete however, you will be provided a Username & Password for re-entry should timing not permit completion at one sitting. If you are interested in becoming certified via our online class in the convenience of your home, simply click on the eTiPS image to the left, and register as a NEW Registrant.